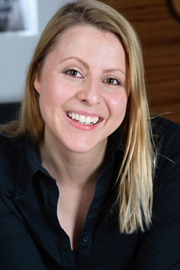 Dora Walsh is one of the UK’s most sought after Nutritionists, well being experts, presenters, brand advisers and writers, and a graduate of the renowned College of Naturopathic Medicine, London. "I help women from the ages of 20 to 50 lose weight, keep it off, improve their health problems, and look and feel amazing! We get fantastic results here because we really take the steps to understand our clients, and motivate them!" Dora is the diet expert for www.virginmedia.com and MSN’s diet and health expert style.uk.msn.com/health/ask-the-health-expert. She’s worked with The Guardian as the resident Nutritionist on a recent televised health screening, has presented for Market Kitchen on the Good Food Channel and is signed to somethinelse Talent for appearances, endorsements and filming. She presents corporate wellness workshops and advises various brands, hotels, research agencies, restaurants, model agencies and gyms on their nutrition communication. PR strategy and product development. Corporate clients include: Best Western Hotels, British Military Fit, Mitsubishi UFJ Securities PLC, Body London Models, Flamingo Research, The Mission, and she has been selected as the Advisor and Spokesperson for British Summer Fruits. In 2009 Dora set up nutritionguru1.wordpress.com as a free nutrition resource for the general public and nutrition students. She has extensive experience in food, nutrition and health and has developed conferences and seminars on food ingredients and nutrition, attended by the leading food groups including: Nestlé, Unilever, Campbell Soup Co. and Kraft. Nutriheal promotes the use of whole foods for many health concerns and to create balance, and Dora sees clients from all walks of life and has also become particularly popular with the celebrity set. She practises from London and has a team of Nutritional Therapists working under her trained in her specific protocols and methodologies.